Schools across the country are exploring how 3D printing can support their curriculum goals. 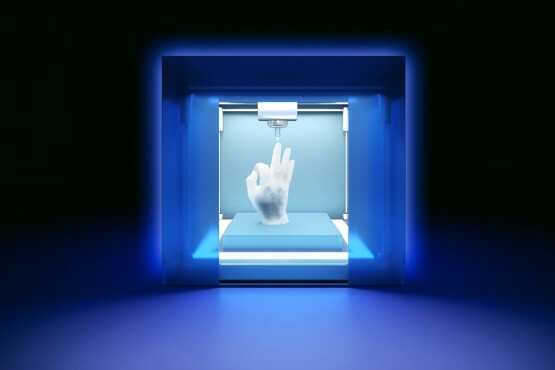 If you’ve followed recent news on 3D printing you’ve heard how doctors are printing out skin graphs and car manufacturers are printing out models. The ease and relative affordability of 3D printing has made it a popular choice for schools looking to energize their STEM curriculum or makerspaces. Here are a handful of 3D printing apps to help teachers get started with this exciting approach to connecting learning to the real world. Makerbot 3D printer users will want to check out the Makerbot Printshop app. It offers many types of templates, including jewelry, medals and shapes. This mobile app is a great way to start exploring printing in 3D. The Blokify mobile app lets users design their own creations with a combination of blocks. Use their guided building experience or design a personalized creation. The Blokify app connects to your own 3D printer, or like Monstermatic and Zotebook mentioned below, you can send this company your finished design and they will print it for you. Another tool for users of Makerbot printers is Thingiverse. You many be familiar with their online site — a great resource for students and teachers. This mobile app lets users access Makerbot’s 3D community. Educators can share their designs and find inspiration for their next 3D printing project. Thingiverse is also a great place to give students a space to share. It can be an authentic audience for their designs and creations. This mobile app doesn’t require your school to invest in a 3D printer. Monstermatic lets users to design their very own monster — choosing shapes, colors and outfits — from their mobile device. Students then send their designs to the Monstermatic team who prints and ships the creations to your school. Zotebook is an iPad app that transforms sketches into three dimensional creations. Users draw on the screen of their tablet to make images that can be laser cut. When students assemble these pieces they can create a three dimensional shape. It responds to gestures like creating right angles or making sides parallel. Students can sketch and design for free and only have to pay when they want to print their designs. Do you have a favorite 3D printing app? Share it in the comments below! Monica Burns is an EdTech & Curriculum Consultant, Author and Apple Distinguished Educator. Visit her site ClassTechTips.com for more ideas on how to become a tech-savvy teacher. There are so many fantastic technology resources that can energize Social Studies instruction in middle school and high school classrooms…. cool ,but its to expensive just to make a simple thing,and besides there are immature people that would probably use it to make 3D burgers hahaha jk !!! I think 3D printing is amazing, I have a 3D printer myself and it’s AMAZING!!! I th ink this would be the next big thing, it’s affordable, and creative to students. It will also help the teachers that are trying to teach us students. 3D printing is fine, but it’s costly and takes hours to create the simplest things! i think this would be a good idea.